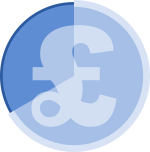 Based on a rule engine specifically designed to be both powerful and flexible, IIS Payment Plan Management provide all the tools required to standardise the approach to arranging, monitoring and reviewing payment plans, allowing collections departments to reduce costs whilst simultaneously improving customer relations and increasing turnover. By eliminating the potential for arbitrary agreements or plans that are unlikely to be met, collections departments can ensure a consistent approach to debt recovery. Offering a way to increase the consistency and relevancy of payment plans offered based on live account data. Monitor and record the entire plan negotiation phase; including the offers available and all decision made to reach the outcome. Provide a way to return them back into an full trading as soon as possible. Managers have the ability to interrogate a large set of customer data fields for selecting appropriate planning paths for customers. Consistent payment arrangements across multiple agents. Consistency when dealing with your customers. Using the data collected from trading history, payment propensity and plan acceptance and completion will provide the necessary information to construct a payment plan that is achievable and beneficial to both parties. Using data collected from negotiation and plan acceptance sessions along with other relevant account data will highlight patterns that could be used by the system to generate consistent payment arrangements. Such arrangements make it simpler to recover significant portions of debt while allowing customers to continue trading. Increase overall cash flow by reducing unachievable targets. Accent IIS has the ability to support the creation of sustainable customer payment arrangements. By using appropriate live account information, the suggestion process results in a subset of available payment arrangements that are best suited for the customer. The likelihood that the customer can both afford and settle the arrangement is thereby increased. Through normal operation, Accent IIS collects a huge range of data items relating to the entire payment arrangement process. From the selections operators make to snapshot account data, all this is used to monitor the success of current arrangement processes. Finding patterns in this data will help in the refinement of the whole suggestion process - leading to improvements in operator efficiency and customer satisfaction. Significantly reduce the total cost of maintenance for customer payment arrangements. Accent IIS has been shown to reduce the number of people involved in the management of payment arrangements. By increased automation of the arrangement process and the ability to automatically review accounts, the original arrangement process takes much less time, along with automatic reviews reducing the number of calls inward and outward the effort required by the collecting agents is minimalised. Throughout the negotiation process, Accent IIS collects considerable data on the actions of operators as well as account status before and after negotiation. This data can be used to monitor operator performance and, when used properly, can identify issue with the negotiation process as a whole that could be refined or where training focus should be modified. Providing, as it does, a simplified interface to a complex negotiation process as well as guiding operators through the entire procedure helps in reducing the requirements for user training. While training has not been completely obviated, it is significantly reduced. Improve feasibility of payment arrangements by reducing the number of unachievable targets. Feasible payment arrangements leads to improves efficiency. By simplifying the negotiation process, Accent IIS helps improve the consistency of arrangement offerings and increase the efficiency of operators across the board. Cash flow improved by ensuring that customers on payment arrangements are managed effectively. Using collection customer data, the IIS system allows management to review the current state of accounts. Employing a simple rule base system as used for the negotiation of payment arrangements, reviewers can segment customer accounts and perform appropriate actions on each. This allows for customers to return to trading in a timely manner. By ensuring that as many customers as possible are able to continue trading it is possible to satisfy debt recovery requirements as well as simultaneously improving trading. Options for multiple update methods including integration with web services. Integration with valuable existing system. The Accent IIS system was designed to integrate effectively with other client systems. Integration of this type is the norm for the majority of installations. While the IIS system is designed to potentially run as a self contained system, it includes the ability to link seamlessly with other systems. It is possible to link directly to a number of standard database systems as well as request and response to web services. Finally, Accent Software Ltd can provide systems that collection data from any exported data format.